« “The Happiness Trap” – are you living in it? 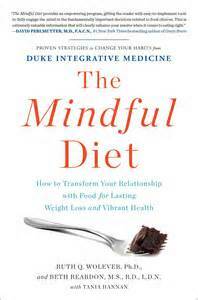 “…Our mindfulness-based approach can help people connect with the innate feedback systems that naturally regulate eating and weigh t – in other words, make authentic change from within.” From The Mindful Diet. I recently discovered this book at the local library, and would recommend it to anyone struggling with weight-related health concerns. It’s divided into three sections, Setting the Stage for Change, Building Your Foundation, and Eating for Total Health, and packed full of lots of scientifically-based, clinically tried-and-true steps that are grounded in mindfulness practice. Check it out today!